Whether you’re looking for a quick and easy way to get started with a payment gateway, or you want to completely integrate the payment gateway into your website, we have an option that will work for you. There’s no difference in pricing for the three website integration options, and all options come with the full Telr feature-set. Each form of integration gives you the same access to our wide range of payment methods. And because we’re fully PCI DSS Level 1 certified, with options 1 and 2 you don’t need PCI DSS certification yourself. The easiest option to get started with – we host the payment gateway for you. 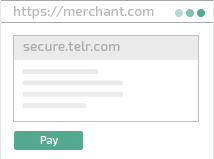 Your customers will pass to secure.telr.com and see a payment form with your logo and css. When the payment is completed, they are returned to your website. The payment form is fully responsively designed, to optimise your customers’ experience regardless of their device, and to minimise your customer abandonment rate. If you want to integrate the payment form into your own website, you can incorporate it into your checkout page by using an iFrame and applying your css to the form. Your customers have the comfort and confidence of staying in your branded environment, and you benefit from a straightforward integration and our optimised form design. Completely customise the checkout experience by incorporating the form directly into your own website’s checkout page, giving you full flexibility over the form’s appearance.This option requires you to be PCI DSS certified. 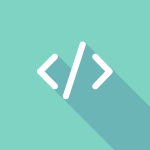 get your website integrated with our payment gateway in a matter of minutes. We Host The Payment Gateway For you. Build card processing directly into your mobile app. 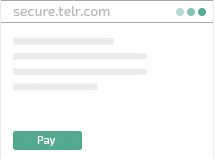 Our mobile API allows your app to capture and send card details to Telr’s payment gateway for secure processing. Can’t decide out which type of integration is the right one for you? Don’t worry, we will work with you to make sure that the solution you choose is the right one for your requirements.We’ve got comprehensive integration documentation, and a tech support team ready to help get you up and running.